Want to spread some kindness and positivity in your classroom community? 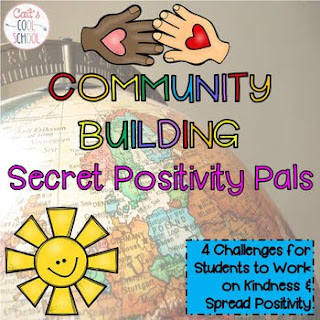 Secret positivity pals let your students have a little fun while spreading some extra happiness and smiles to a classmate. There are 4 tasks and one editable template to create your own positive task card.